Note: The Pathfinder Roleplaying Game: Bestiary 5 Pocket Edition is not included in the Pathfinder Roleplaying Game subscription. Finally we have 5 Pocket Edition Bestiaries! The fact that i don't have to carry 5 hardcover bestiaries around anymore is great! The price is unbeatable for a full-color collection of monsters & creatures! These are also very durable. I wonder if we will get a Bestiary 6 Pocket Edition in october or if that book is still to "new" to be pocketed. So far i have bought every Pocket Edition & i'll continue till i have all of them. 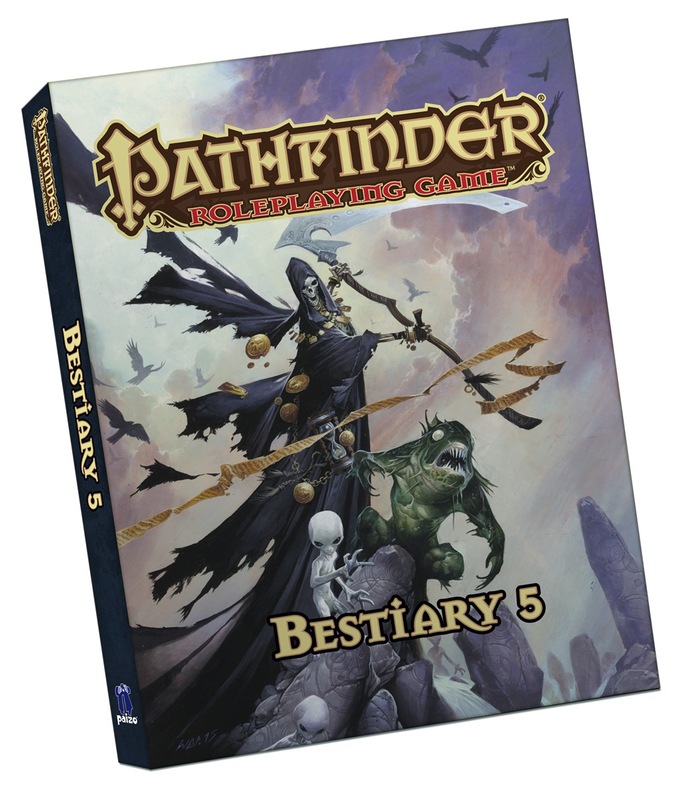 I seriously hope that one of the two pocket editions out in january will be Bestiary 6. I also hope the Starfinder hardcover books will eventually become available as pocket editions.